This is a classic Headlands loop -- climbing to the ridge, sweeping through coastal scrub with views for miles, then dropping back to the trailhead. The entire 4.8 mile hike is on fire roads. Cool clear days ensure the best views and a comfortable hike. Look for early blooming shrubs such as currant and huckleberry. Each Headlands season is distinct, like different charms on a bracelet. Winter views are spectacular, spring flowers gorgeous, summer fog makes hiking intimate and hushed, and autumn bathes the landscape in a golden light. Collect them all! Do you remember the old Gerbode Valley trailhead? It was an unmarked dirt road on the side of Bunker Road. The new trailhead is west of the old one and features a big paved parking lot. When I drove by last week the parking lot looked finished but there were still construction trucks parked in it. If the lot is roped off or otherwise inaccessible, park across the street from the trailhead in the broad dirt mini-lot in front of the stables. Access the hiking trails on the broad bridge to the east of the new lot (it's visible from Bunker Road). Marin Headlands is hike number 5 in 60 Hikes in 60 Miles: San Francisco (third edition). 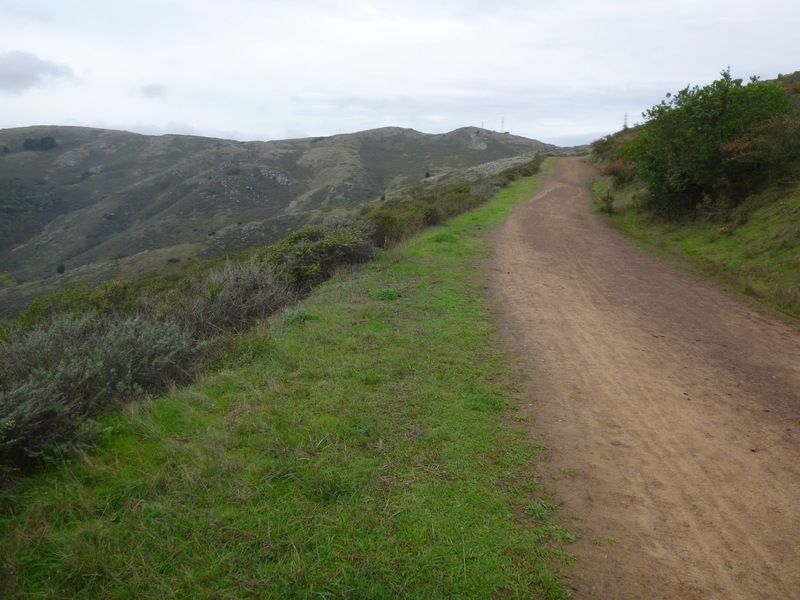 Read about this hike on BAHiker (the BAhiker hike is slightly different from the book version -- to follow the book, take Bobcat to Miwok, rather than Alta/Rodeo Valley). Wunderlich is a heavily-forested park near Woodside with a decidedly horsey air (thanks to onsite stables) and miles of tranquil trails. I like this hike for the variety of landscapes -- deep woods, grassy meadows, and lovely views to the east.